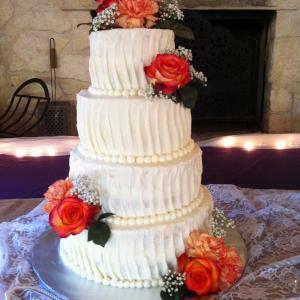 Sweet Designs by Cortney - Weddings Cont. 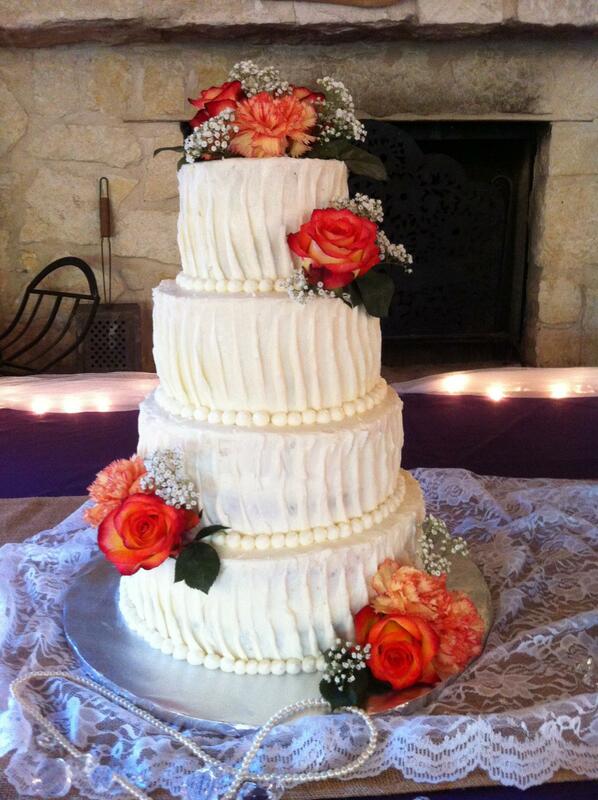 4-tier simple wedding cake with icing pearls and blood orange roses. Grooms cake constisted of german chocolate cupakes surrounded with pearls, diamon accents and blood orange roses.